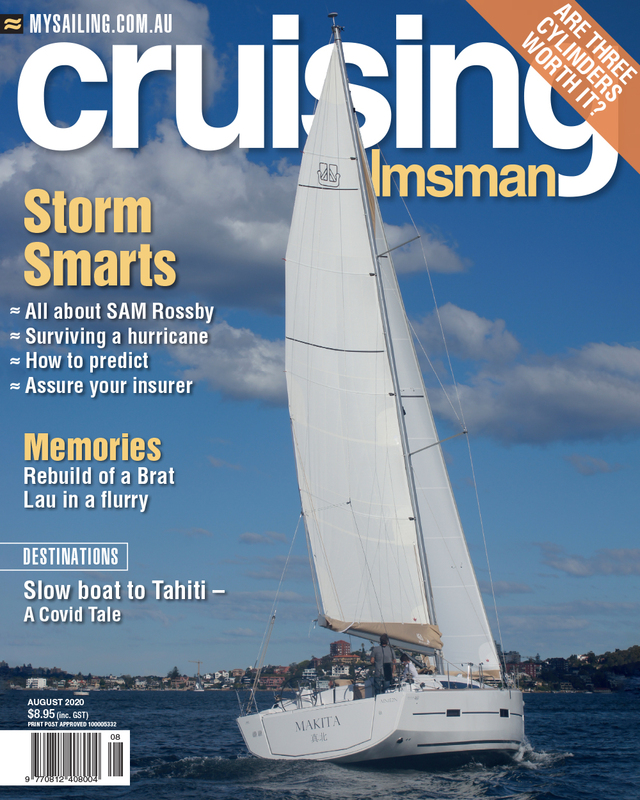 Since we are now moving into the long, lazy days of summer holidays, this issue of Cruising Helmsman contains some excellent long reads to entertain you. They are not only entertaining, they are also, as always, informative. Using a near-disaster as a starting point one contributor details the process he went through in fixing his LPG gas connection to a suitable standard. The problem is that, for most of us, our gas piping is mostly out of sight and, therefore, out of mind. A prominent warning sign right there. To follow this up we have a definitive reading of how the Australian Standard says your gas connection and devices should be set up. Short answer: get the proper experts in. Speaking of proper experts we have a definitive report on just how dangerous are floating containers to ocean-crossing cruisers. Six months after devastating Cyclone Debbie sat on north Queensland and flattened many businesses, yachts and dreams, we return to see how the area has recovered. It is a great story of businesses and people working together to get the region back on its feet and providing service to visitors at some of the best cruising waters in the world. The call goes out at the end that, if you are thinking of getting yourself and your yacht up there, do it. The facilities are all up to speed and waiting for/needing your patronage. Since it is Christmas time I have included my favourite things I have managed to collect over the past year. These are tested products that I found personally useful in my sailing life and of good value. Check them out. Our intrepid trailer sailer's continue their dream trip through the Kimberleys and we discover the relatively unknown Aegean in the Mediterranean. Plus so much more. Look for the Jeanneau 51 on the cover and read our review. Send me the best holiday reading on this blue planet.